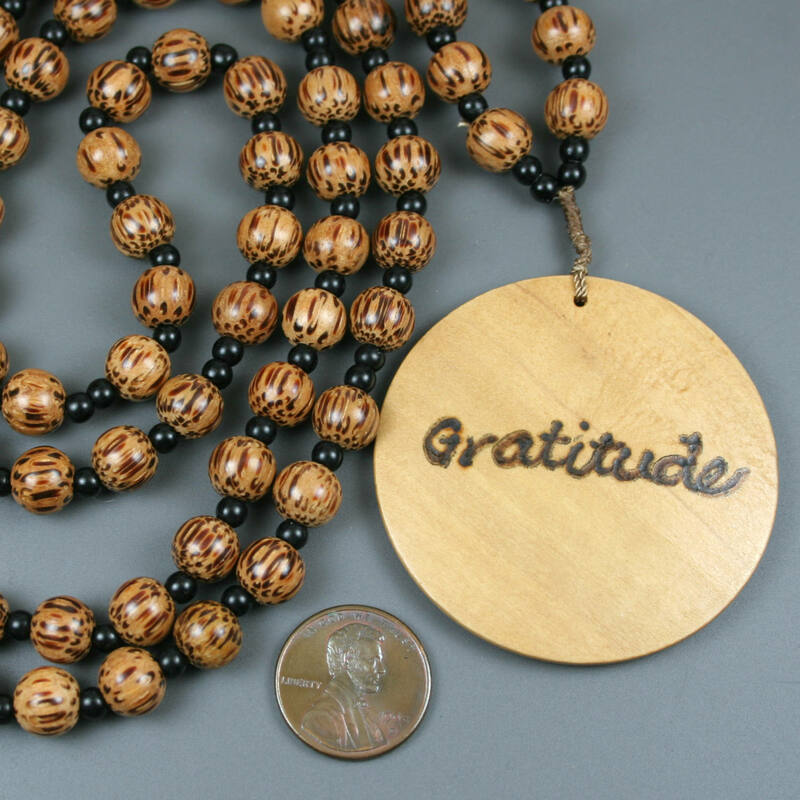 This set of gratitude beads is made in the 101-bead style with the gratitude beads being 8 mm round coconut palm tree wooden beads, the spacer beads being 3 mm obsidian beads, and the opening focal a 60 mm flat Korean boxwood circle with the word "gratitude" engraved into the surface by woodburning. These are all strung on nylon cord for a soft flexibility in using the beads coupled with resistance to wear against the rough inner surface of the stones. All knots are reinforced with glue for extra sturdiness. The bead set measures approximately 24 inches long from the end of the opening focal to the top of the circle of beads. 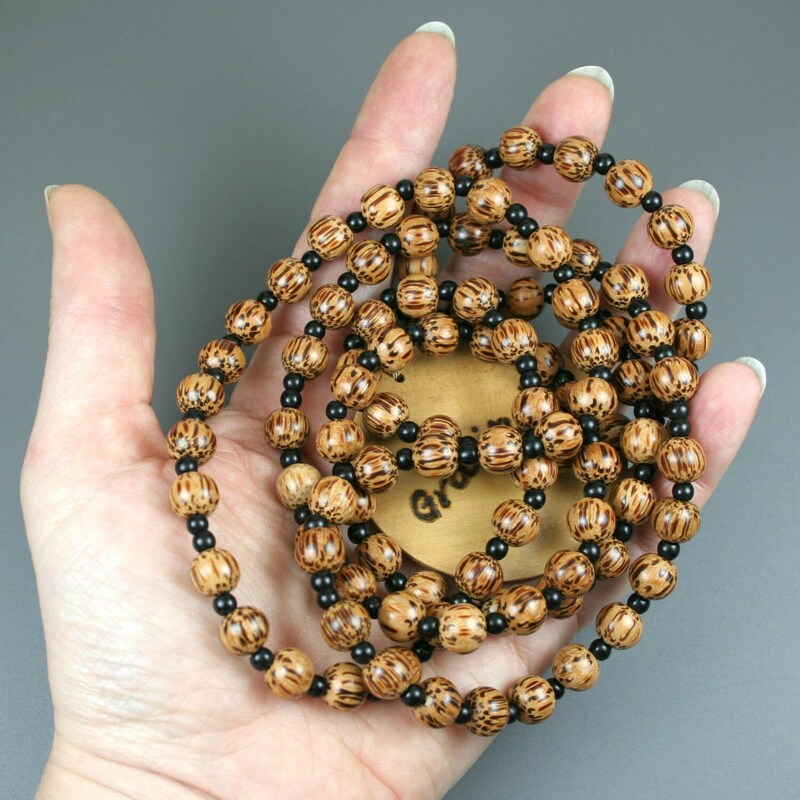 The use of wood beads makes this set significantly lighter weight than sets made with stone beads. 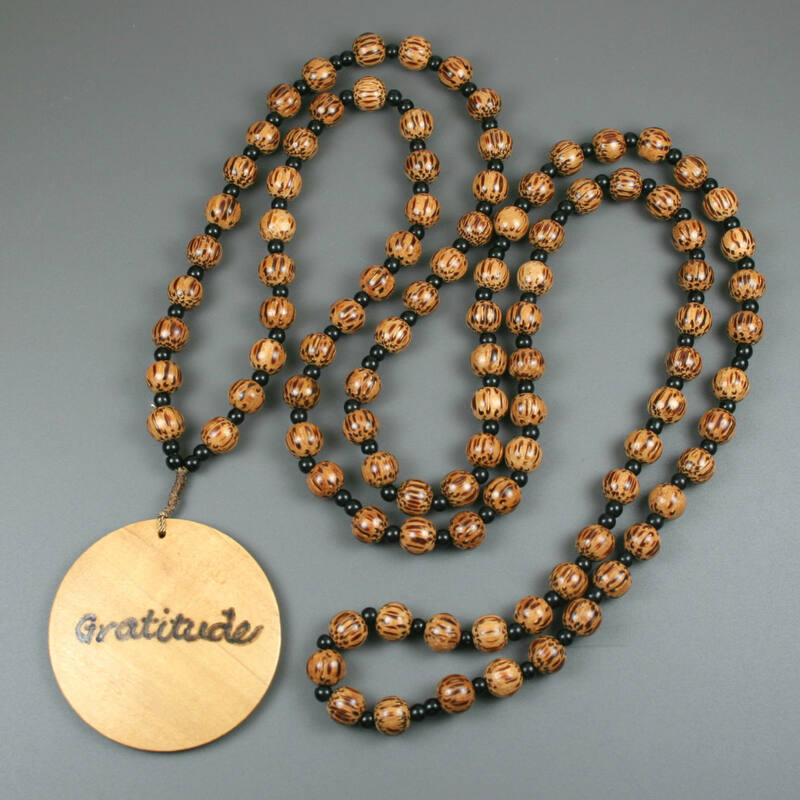 * Use each of the 100 gratitude beads to name something (or someone) for which you are grateful. This should be done without repeats, so choose specific items to name instead of broad categories. (For example, names daffodils, roses, irises, and marigolds will go farther than just naming "flowers.") 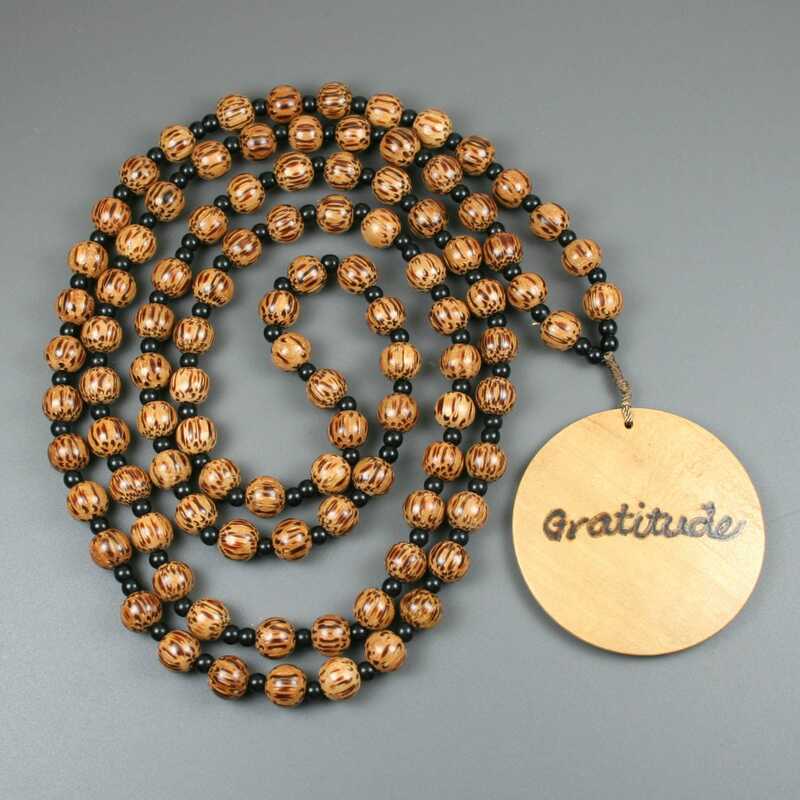 To help you keep track, each set of ten gratitude beads is separated by an extra spacer bead. 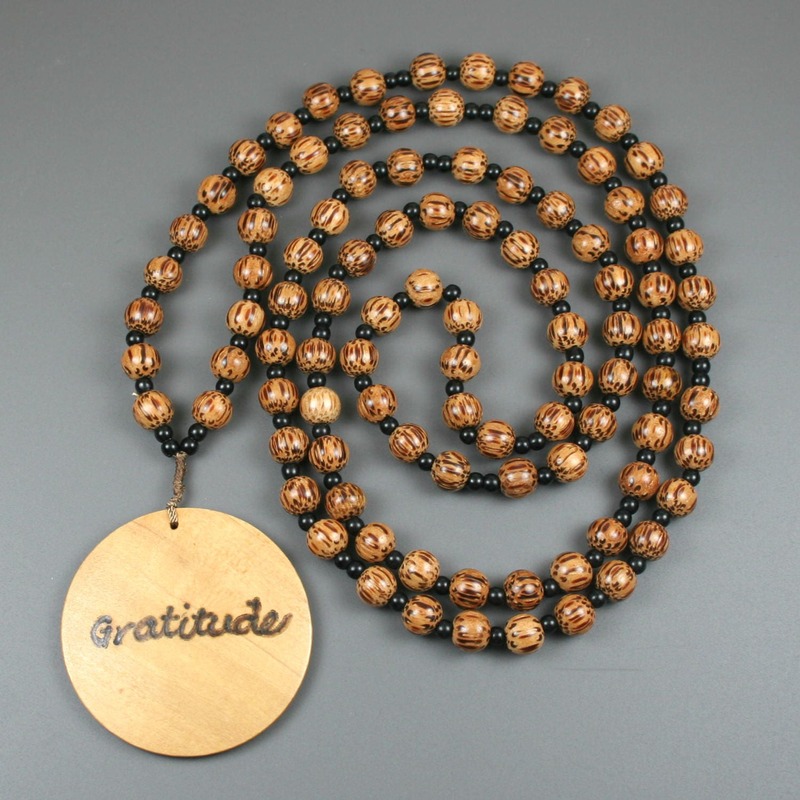 * When you return to the opening focal, name your 101st gratitude item and rest in gratitude for your many blessings.